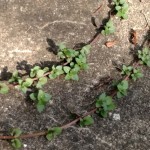 Peppermint and Spearmint are the first herbs that come to mind when one thinks of mints. Did you know that Peppermint is actually a hybrid of Spearmint and Watermint ? They have spread through Europe, the Middle East and are now found globally. 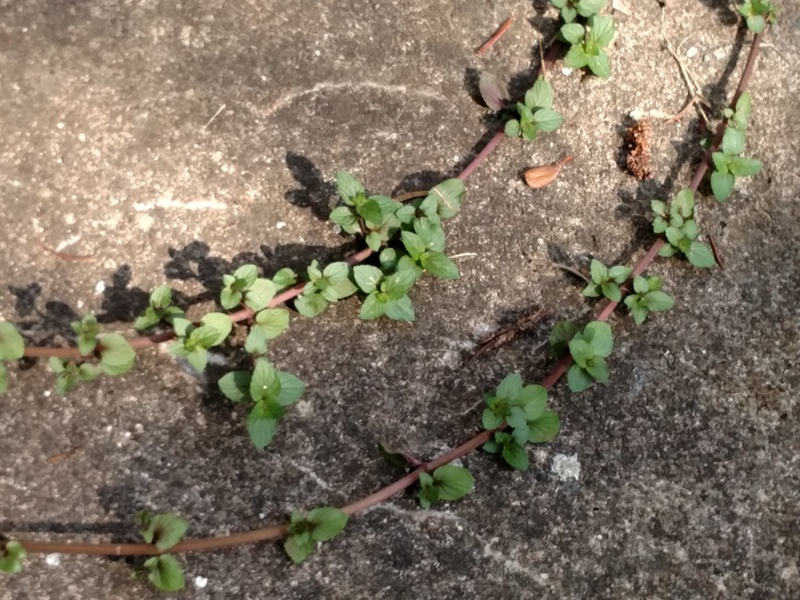 This is also the pattern for how the herb itself grows. If you want to plant either one, the best thing is to grow it in a container as they are very invasive and will overrun any garden. Just a word of caution. I show here a picture of my chocolate mint making a run for it and trying to escape its container. 🙂 And yes there are many cultivars of Peppermint from chocolate to lime mint to orange mint to candy mint. Peppermint leaves when dried make a fine tea that is very good for a troubled stomach and digestion and this is one tea that I have tried and it does help. European medical research studies have shown that Peppermint Oil has been useful in treating Irritable Bowel Syndrome. Peppermint Oil has been used as a flavoring from everything from confections to gum to mouthwash for bad breath to helping teeth and gums deal with germs. Peppermint Essential Oil has been used to treat headaches ( applying several drops diluted essential oil onto the forehead- NEVER use any essential oil directly onto the skin), nausea, toothache and respiratory problems. The essential oil has a high amount of menthol, which gives the essential its stimulating aroma when used in a spray to help one feel refreshed and more awake. This also helps when one is suffering from anxiety and stress. This same menthol has also been found to have a cooling effect on the skin by stimulating the cold-sensitive receptors in the skin. Another good reason to spray yourself with a peppermint spray or to use a peppermint soap in the bath or shower in the summertime. Spearmint has also been used as a flavoring in a wide variety of items from gum to confections and its leaves are also great in a tea that helps with digestion. Spearmint Essential Oil is different from Peppermint in that rather being a stimulating oil, it is more relaxing and calming. Just a delightful scent. Also, it does not have the high cooling sensation as Peppermint. 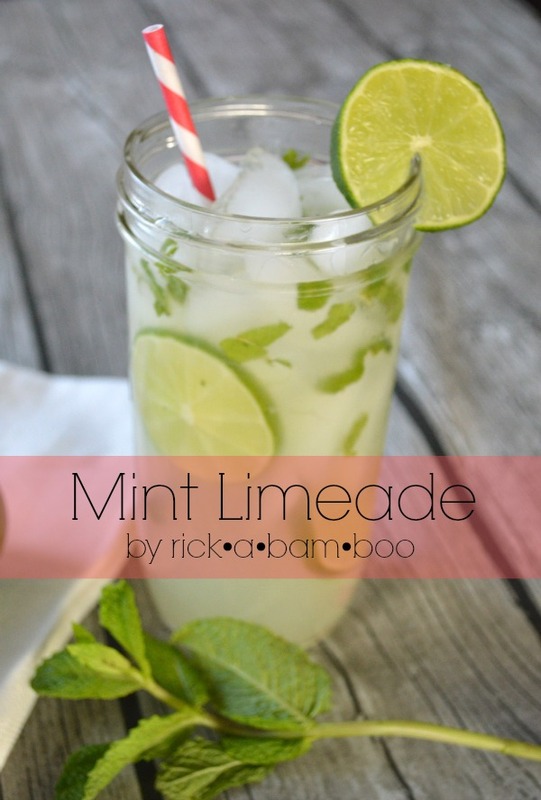 Have you tried Peppermint or Spearmint in summer drinks? Maybe you would want to try this cooling drink over the weekend? 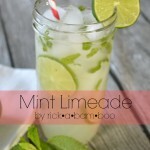 You can find the recipe here for the wonderful Mint Limeade ! I love Spearmint also in Mojitos! What about you?